« A Spherification Rack, A quickly made Fixture from Split Prone Cedar. For under $5 you can obtain a set of HSS blanks from Harbor Freight. Do this at a store, I have been so amazingly and expensively burned by online shopping with HF that I will never ever do that again. 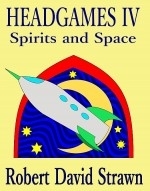 The stores however are great as long as your are careful what you get. One good way to mark a tool in preparation to grinding it is to cover it with tape first. I like blades with a bevel on one side only, like a lot of the finer Japanese Tools are made. They are easier to sharpen to a single bevel, and reference flat to planes. I cut apart the blades with an angle grinder and a cut off wheel. 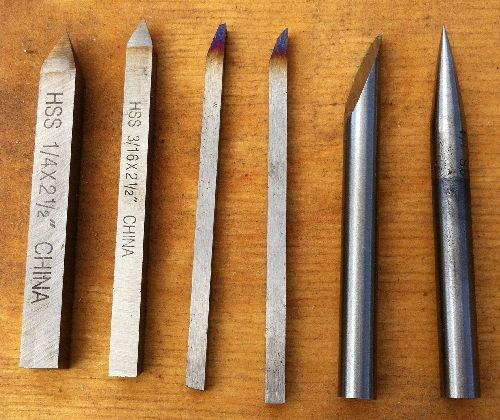 Skew chisels, chip carving knives, all sorts of fine tools can be made from High Speed Steel. Bird cage awls, fine chisels, scrapers, simple gouges, and awls can be made easily. The Awl is made by chucking the blank in an electric drill and spinning it against a grinding wheel. It can be polished on sandpaper the same way. This is HSS so the discoloration from over heating does not do harm to the blade. It may even improve it. Tempered HSS will hold a great edge, but it is less flexible than a lot of steel. Push and pound it hard, don’t pry with it. If it does break, it was inexpensive to make so it will be inexpensive to replace. 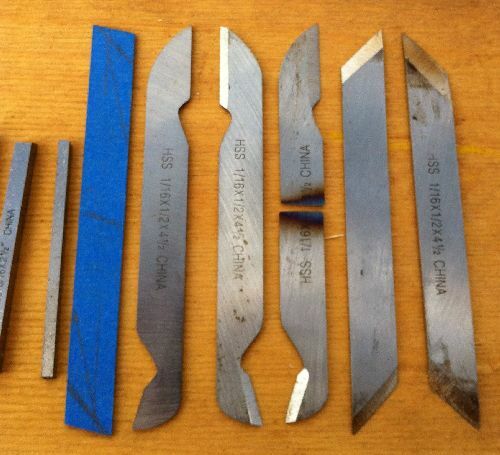 When you are grinding HSS tools, don’t dip them in water to cool them. This can cause fractures in them. Instead, take a plant fiber paint brush, wet it and hold the wet brush against the blank as you grind. When the water in the brush starts to boil then dip the brush in water again. Once a blade is shaped all that is needed is for a notch to be made for it in a handle and for it to be epoxied into place. Epoxy is nice because if you have to replace a blade, you can heat the blade up until the epoxy lets go. This makes it easy to reuse a handle. The notch should hold it tight, but not very. 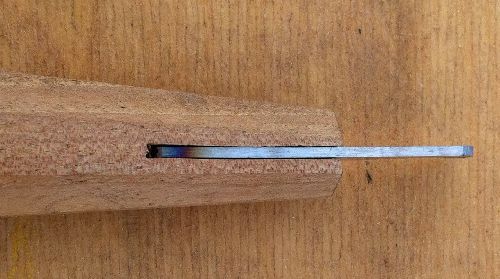 Too tight a notch can cause the tool to split later. Once the tool is in a handle, it is easy to clean it up, polish it and hone it to a fine edge. Here we are with some very high quality tools for very small change. Nice design work. Great thinking on the HF. The only draw back I see would be with making the cut for the handle. You are better off cutting all the way thru the handle , fitting/carving the blade inside and epoxying it together so you can drill a brass rod in the side. then carve your handle…. The blade may flip on you and do damage to ya. Just curious, what are the two tools on the far left in the final picture? I can’t make them out. Is it a quick change socket? What is shape/angle of the handle on the second to left for? The two tools on the left are taper-lock bit sockets. Apart from their being rendered inoperable by magnetic filings, they are absolutely the best bit sockets made. They will lock on any hex tool as solid as you want them. The angled socket is to allow for a blade set into the grip to have a different angle for use.